MOUNT CABLE TIES. Buy quality Auto and Marine Electric Parts and Accessories online, Sydney. 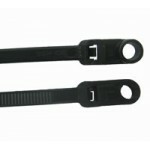 MT-100W-2C 100mm long x 2.5mm wide Mountable cable ties Fitted with a mounting hole for insta..
MT-155W-3C 155mm long x 3.6mm wide Mountable cable ties Fitted with a mounting hole for insta..
MT-205W-4C 205mm long x 4.8mm wide Mountable cable ties Fitted with a mounting hole for insta..
MT-300W-4C 300mm long x 4.8mm wide Mountable cable ties Fitted with a mounting hole for insta..